Bring the warmth of shutters to your facility or home. Blind Ideas in Glendale, Arizona, offers perfect window-covering options for hospitals and other health-care facilities, as well as homes. Shutters flatter any room, while providing much-needed privacy and shade. Get in touch with us to learn more about our array of shutters. Shutters provide a warm, distinctive element to any room. Wood shutters are available with many options, such as color, louver size, mounting style, and even arched or decorative window options. 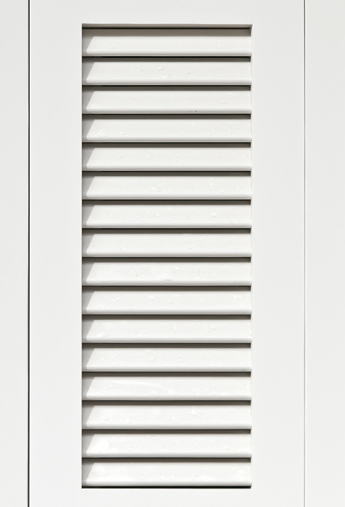 With a choice of materials beyond real wood, today there is a shutter to match any demand. Blind Ideas is the original dealer for Polytec shutters in the state of Arizona. Go green with the first 100% recyclable PVC shutter and reduce energy costs by a minimum of 20%. Polytec is the first commercial-duty, fire-rated shutter technologically advanced enough to meet the rigorous demands of even a hospital environment. With Polytec shutters, patients are provided with warmth and beauty while the hospital or health-care facility realizes much lower maintenance, repair, and energy costs. Join Blind Ideas and St. Joseph's Hospital and Medical Center in downtown Phoenix in setting a precedent for the health-care environment in the Valley with Polytec shutters.